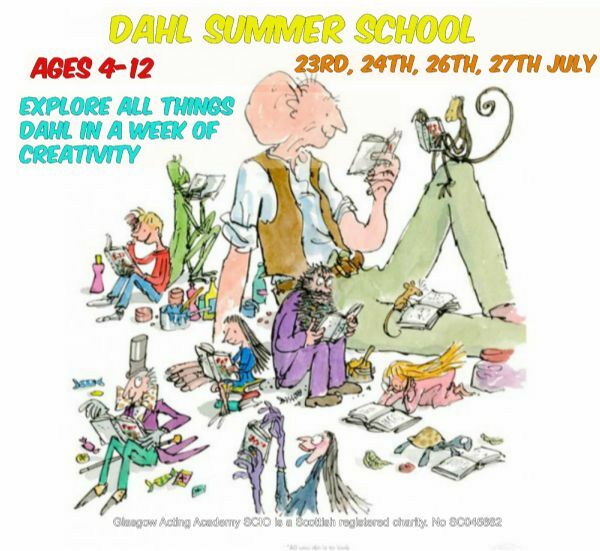 Matilda, Charlie and the Chocolate Factory, Revolting Rhymes, George's Marvellous Medicine...Bring these stories to life in GAA's Dahl Summer School. This week will be focused on all things Dahl, using music and storytelling to create a piece of performance work. This summer school will run from 10am-4pm on Monday 23rd, Tuesday 24th, Thursday 26th and Friday 27th of July. This is available for ages 4-12. The cost of this week is only £40, so book your place quickly to avoid disappointment. Call 0141 237 7140 or email info@glasgowactingacademy.org. The biggest film of the year and a student favourite, 'The Greatest Showman' will be the theme of our senior musical theatre Summer School. Inspired by the imagination of P.T Barnum, this musical tells the story of showbusiness, circus and a visionary mind. This summer school will run from 10am-4pm on Monday 16th - Friday 20th July. This week is suitable for ages 12-18. The cost of this summer school is only £40. Call 0141 237 7140 or email info@glasgowactingacademy.org. Everyone's favourite spooky family has taken Broadway by storm and is now coming to the GAA stage. 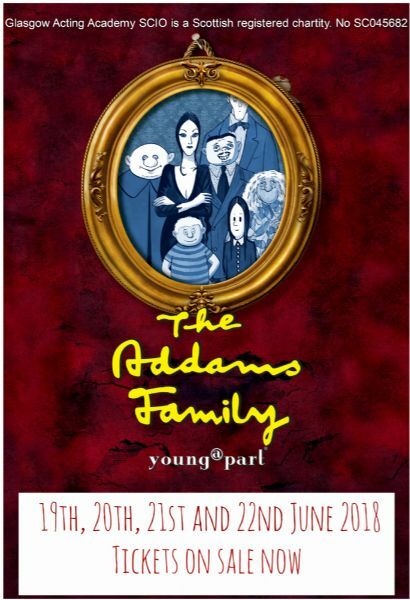 Join Wednesday, Uncle Fester, Morticia and the rest of the Addams on the 19th, 20th, 21st and 22nd of June. Tickets are priced at £10 and can be purchased from the GAA office. This is sure to be a sell out so grab them while you can. .
On 29th April Ryan Little and Steve Russell will be walking a mammoth 23 miles all in aid of Glasgow Acting Academy! All funds raised will go to GAA. Help them reach their fundraising goal.